One of the wisest decisions you can make as a landlord is if and when you need to do repairs. Maintenance, whether regular or emergency, can be a big cost and eat into your profits. But many times ignoring needed maintenance or skimping on it will lead to even bigger costs down the road. 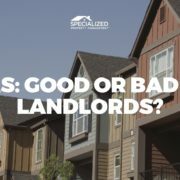 Your Specialized Arlington property management company has these tips for landlords who are looking at maintenance issues. 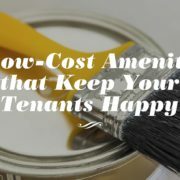 Your most important job as a landlord is to keep your tenants happy. 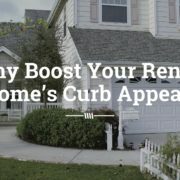 Happy tenants means less turnover and a better return on your investment. Ignoring much needed maintenance signals to your tenants that you don’t care about them or your property. Here are a few tips to help you with these relationships as they relate to maintenance. Respond quickly and respectfully to your tenants maintenance requests. Do not let tenants take care of maintenance on their own. This can lead to issues of liability as well as quality. Develop relationships with vendors so you always have someone you trust to perform needed maintenance. Make sure you are in compliance with all regulations to insure the health and safety of your tenants. Maintain a regular schedule of inspections and proactive maintenance, which will save you money on costly repairs due to neglect. Your Arlington property management company can help you create and stay on a schedule and communicate the schedule to your tenants. Be The Landlord You Would Want! 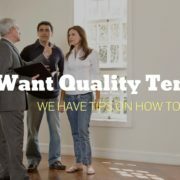 Think about your rental from your tenants perspective. This is the house they call home. Shouldn’t it be taken care of? 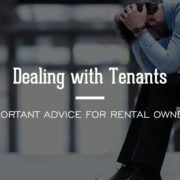 Maintenance can be expensive and time-consuming, but it is one of the biggest factors when tenants are deciding to stay or leave at the end of their lease. Was the landlord responsive to their needs? Are the systems and appliances in dire need of repair? Turnover and vacancies will cost you much more than fixing that broken pipe. If you need help with proactive maintenance, tenant interactions, or anything else with your investment property call the industry leading Arlington property managers, Specialized!